The 5th Grade started with an image cut from a magazine, and then they tell us “the rest of the story.” To save class time I cut out a number of images, for the students to choose from, before class. After choosing an image, the students drew a real or imagined situation that their image became a part of. Finally they gave their art a title. We made labels that identified the artist and the title they gave to their art. Directions for this project, “The Rest of the Story,” can be found in the 5th Grade Projects Gallery in the sidebar. 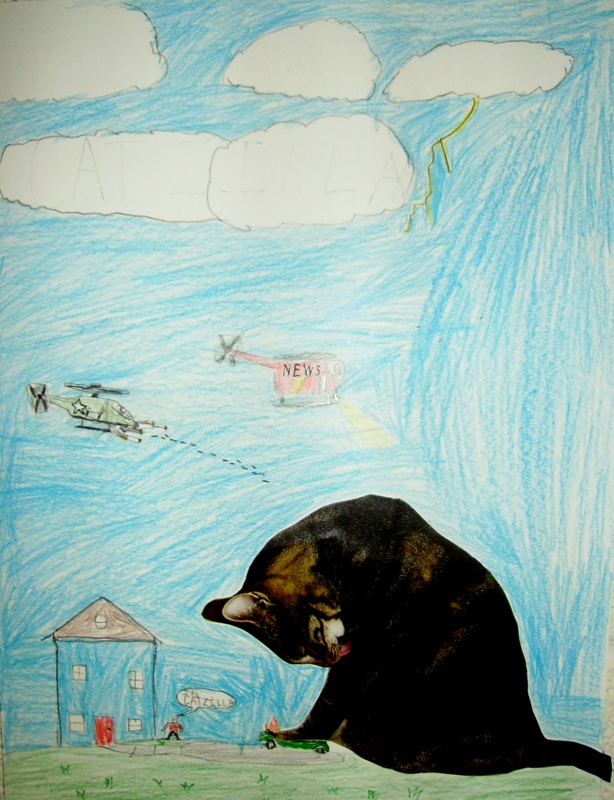 This entry was posted in 5th Grade and tagged 5th Grade, art project, childrens art project using recycled magazine images, classroom recycle art project, easy art for kids, magazine, magazine art project, magazine pictures, the rest of the story. Bookmark the permalink.